Colorful, lightweight, and easy to work with anodized aluminum is really gaining some traction in the field of jewelry design. It's one drawback is that it is very soft. 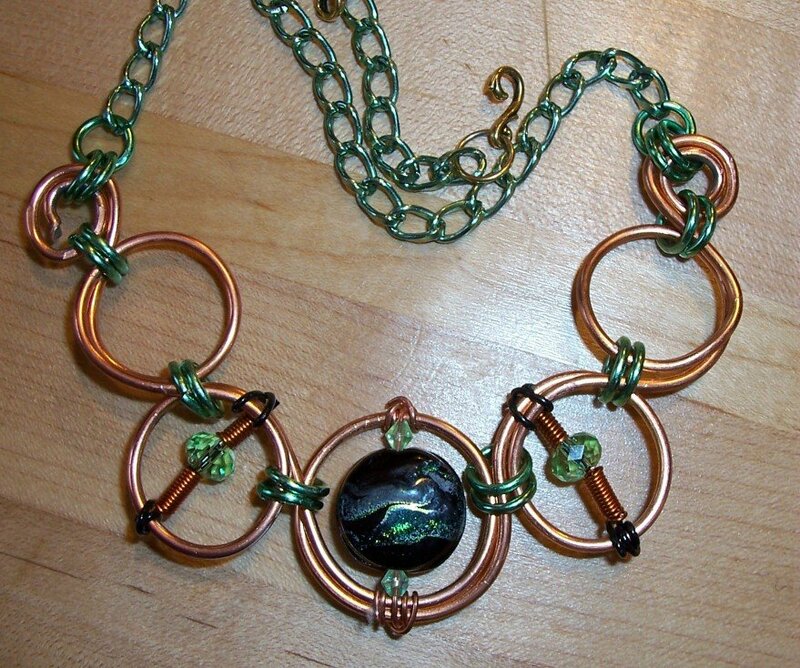 The necklace below was the first of the Continuous Circles pieces I made. 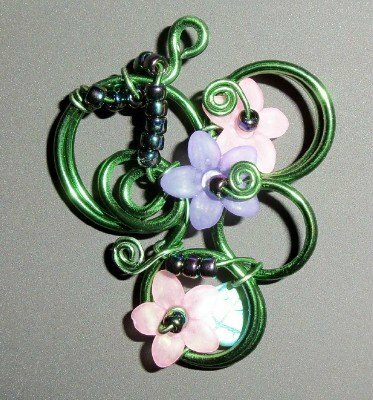 It features a hand lampworked focal bead made by Phyllis Chandler. An instructional DVD for Continuous Circles projects is now in the webstore under the category "Instructions". 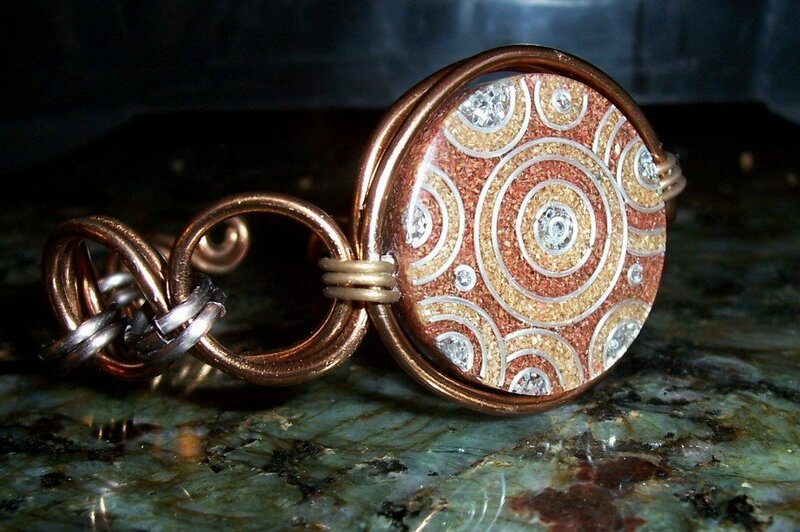 This bracelet is another Continuous Circles project. Because the wire is soft this bracelet literally will mold itself to your wrist. It's quite comfortable to wear. The focal bead is made of sawdust and resin by Priscilla Marban. 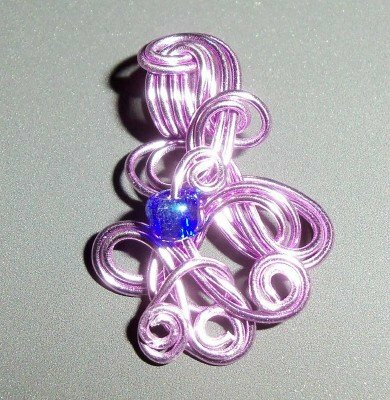 Here are some other uses for the Anodized Aluminum wire. 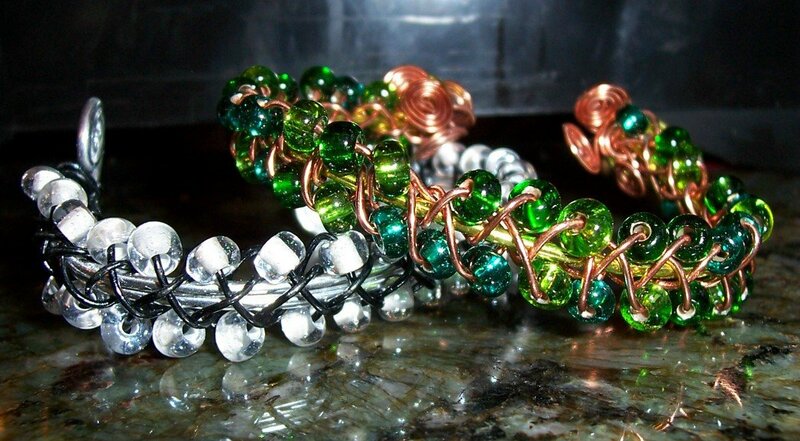 These were the first projects I made using the aluminum wire. 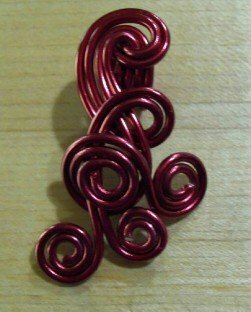 As you might suspect the braided ones came first! 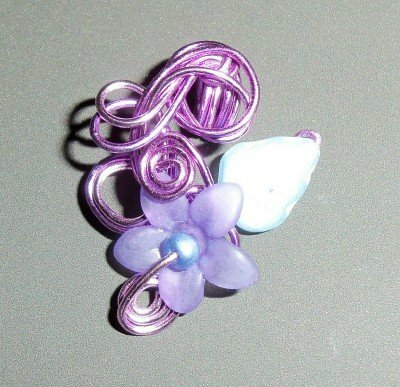 Instructions for Braided Wire projects are now in the webstore under the category "Instructions". Expanding on the Continuous Circles concept, here's what I call Cascading Circles. 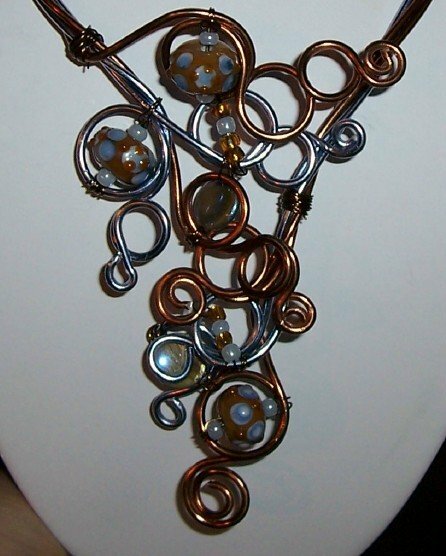 Using 12 & 18 gague anodized aluminum wire and an assortment of beads the neck ring has a front opening. 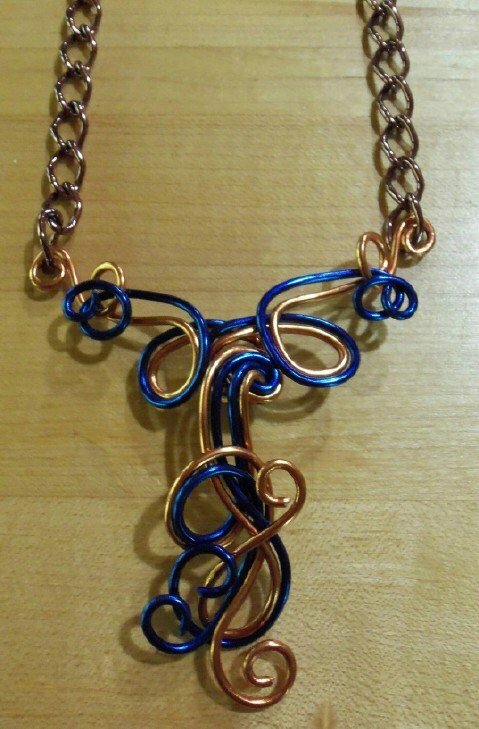 The necklace below is made using 2 different colors of 12 gauge wire. Work was done on the wooden mandrel set and round nose pliers coated in tool magic. 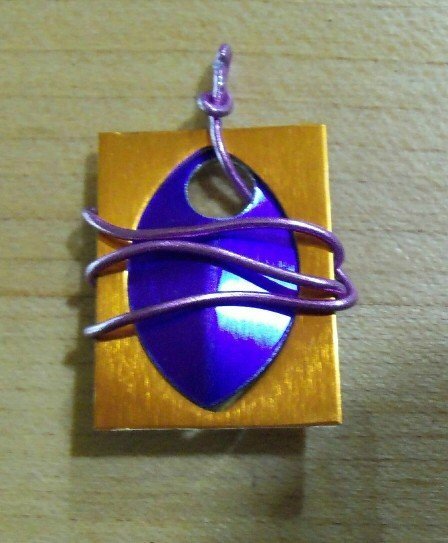 the pendant below was made using 2 pieces of the same color 12 gauge wire. wire through it. The wire made a bail at the top and a decorative element at the bottom. 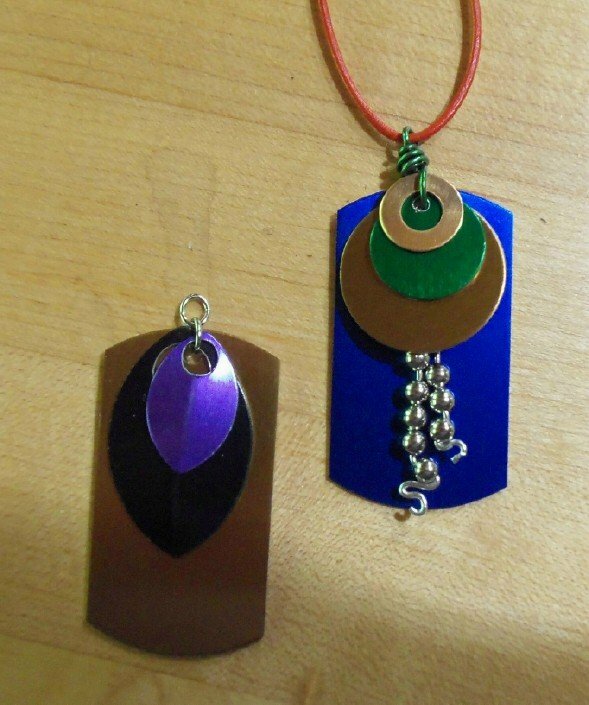 New to the anodized aluminum line are some shapes made from sheets, I've got 2 sizes of leaves and the "negative" on the smaller leaf shape, a couple sizes of circles, and the tag shape. They stamp, emboss, stack, and take color from permanent ink markers. The pendants below are just stacked shapes held in place with a jump ring. Below is a small leaf that's been set into a negative of a different color. It's wrapped with the 18 gauge wire. 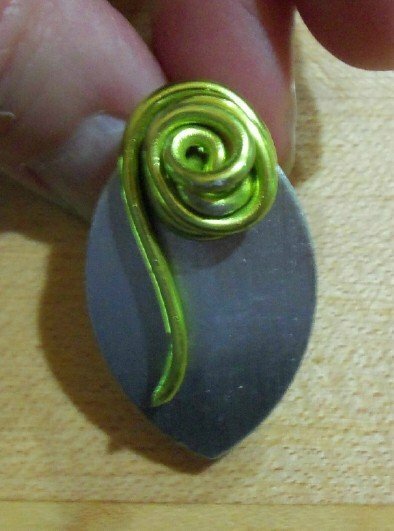 Below is the large leaf that has a bail made using the 12 gauge wire. Found some lucite flowers in the studio and here's what can happen when you put them with the 12 and a8 gauge wires in the Continuous Circles technique. 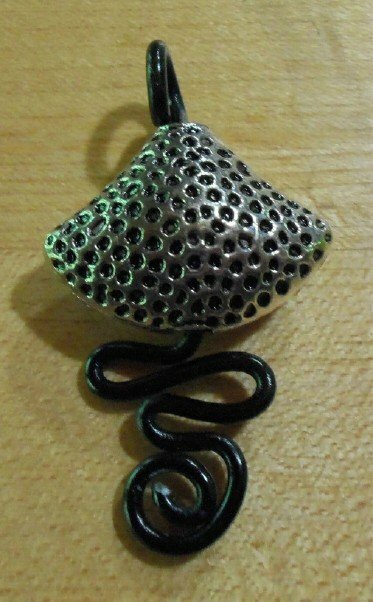 Pendant made with 18 gauge wire and a single size 3/o ToHo bead.